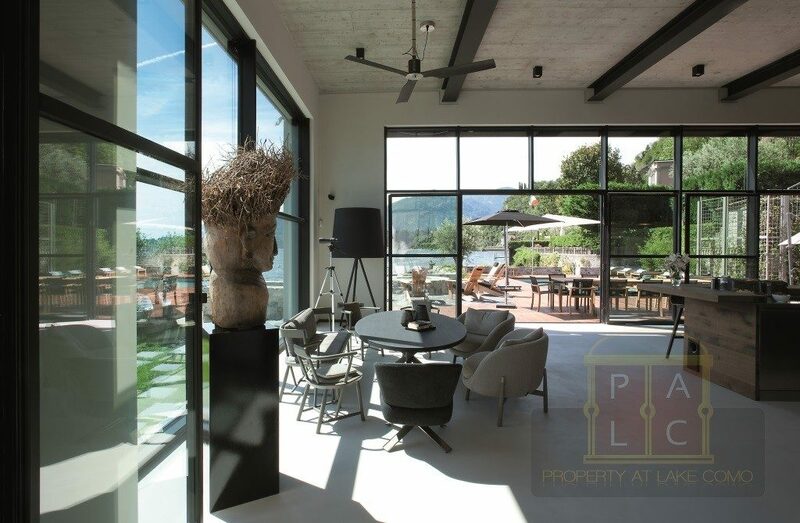 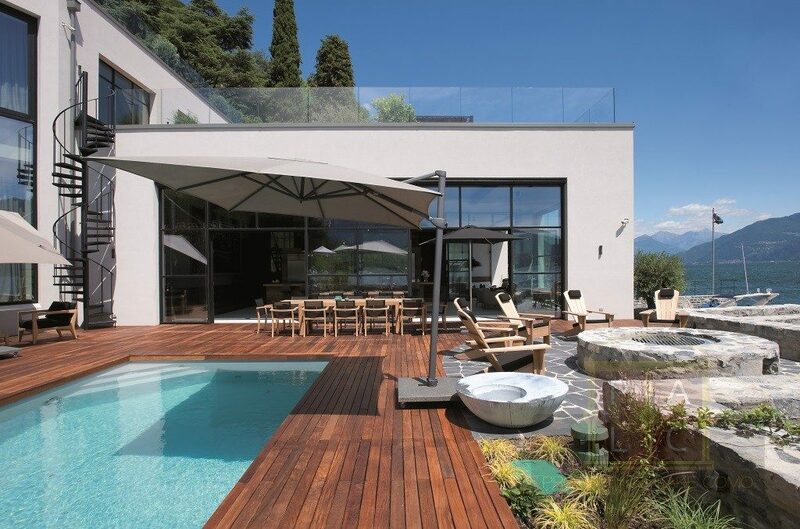 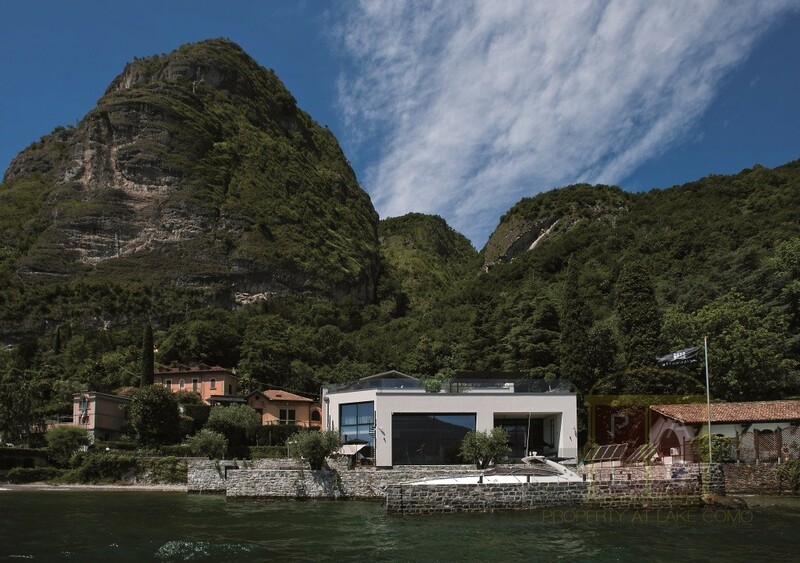 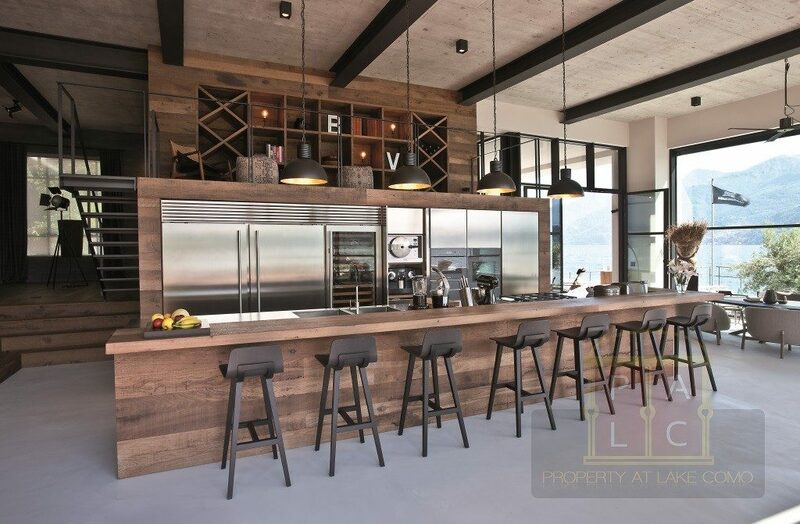 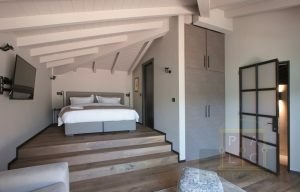 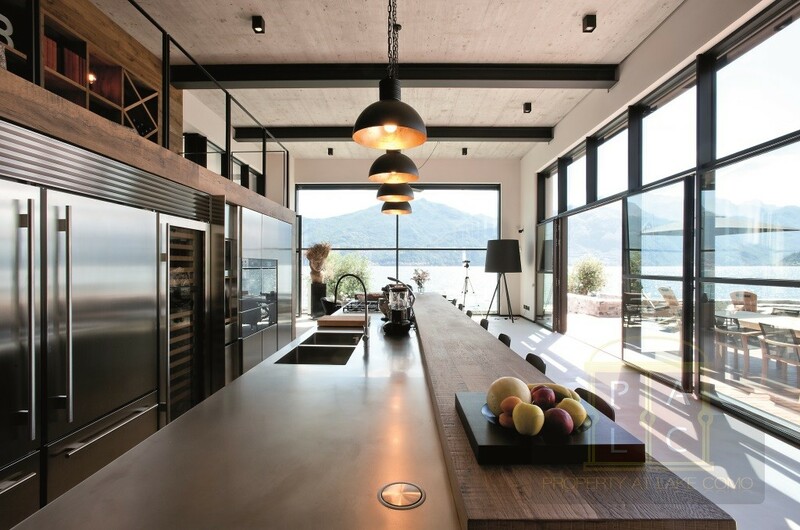 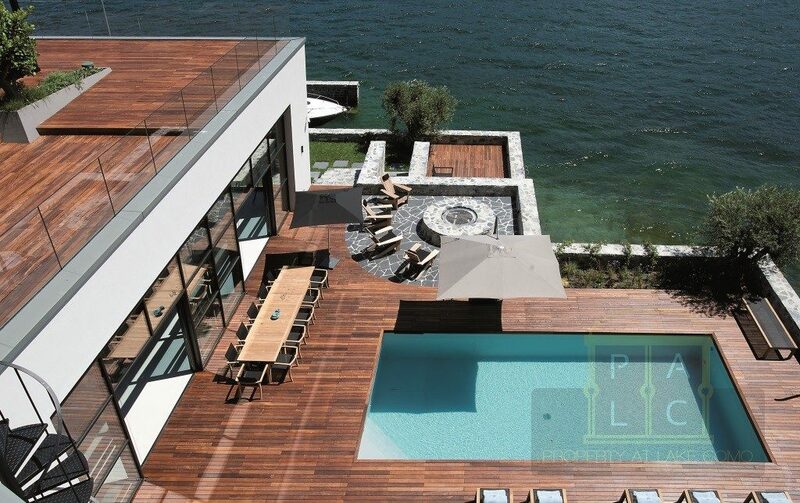 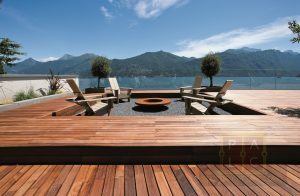 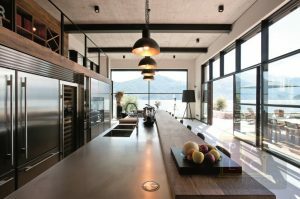 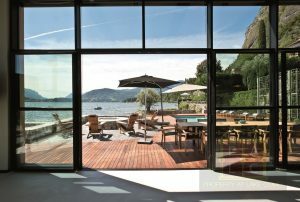 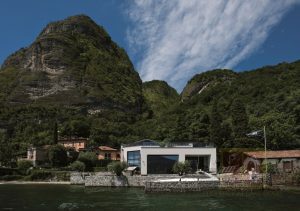 Ultramodern Waterfront Villa for rent with a magnificent view of Bellagio, Varenna and the mountains surrounding the lake – from Lecco up to Colico – the villa is completely hidden and extremely private, beautiful and absolutely unique. 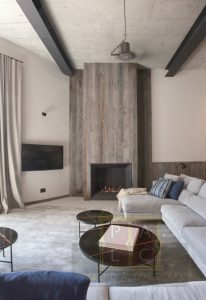 Whilst arriving at the property from the road, the access is through a sensational and futuristic garage with walls painted dark grey and with its suspended glass catwalk, the heart of the house is light-filled. 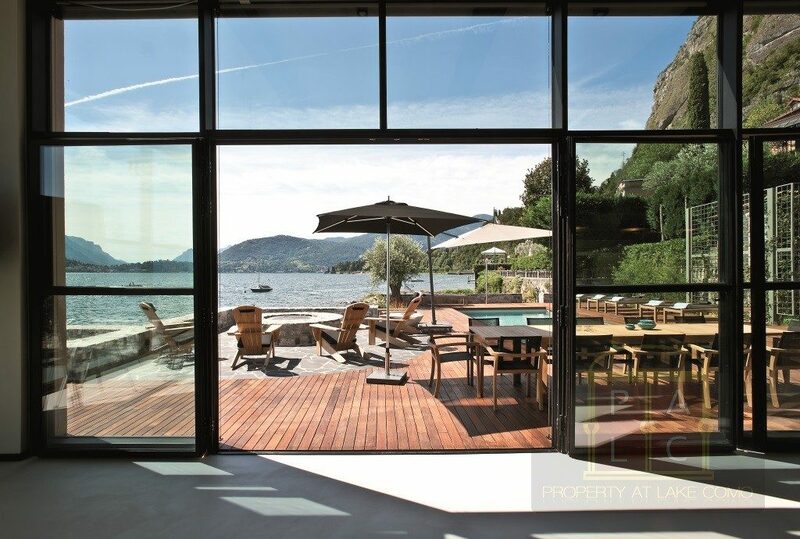  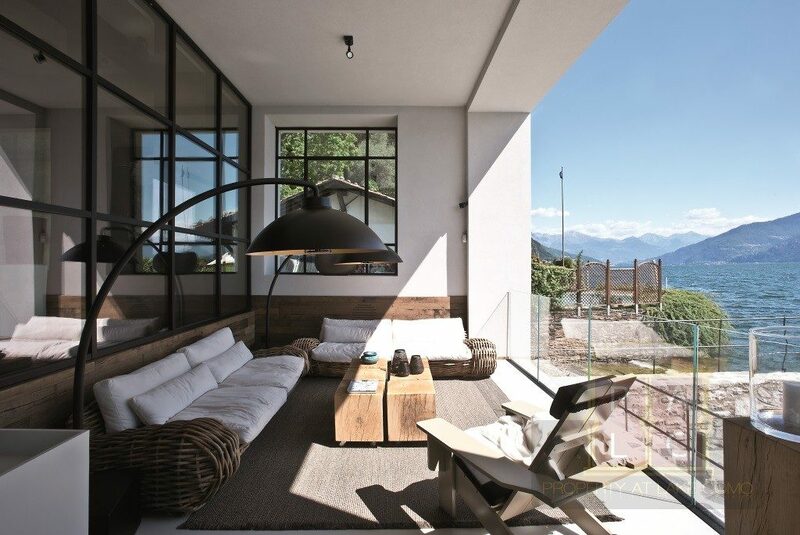 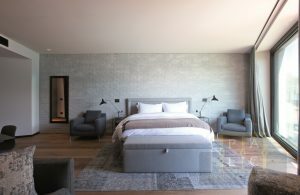 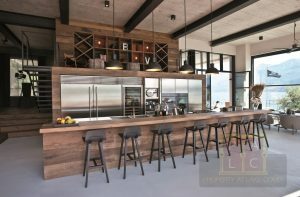 Huge glass windows, interior design, tailor-made furniture and décor materials – oak wood on the floors and walls, concrete, glass – all contribute to making this property uniquely exclusive and so very different from the many historical villas dotting the lake shore. 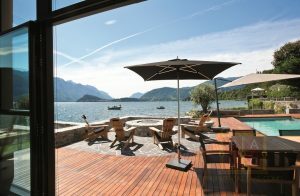 At the villa, just walking down to the private marina can be taken the property’s Zodiac dinghy for a personalized tour on the lake itself.